Internet TV in Europe is really taking off, with two thirds of world-wide accounts located in Western Europe, a new study shows. Analyst firm Canalys said more than 3.6 million people subscribe to internet protocol television (IPTV) services worldwide. The global market is worth $1 billion annually, the study found. Europe has recently experienced an increase in investment into IPTV and the networking technology supporting it. This is the main reason for the recent growth of IPTV in the region, Canalys said. "IPTV networks will quickly become the most complex and bandwidth intensive that have ever existed," said Alessandra Fitzpatrick, Canalys' vice president. 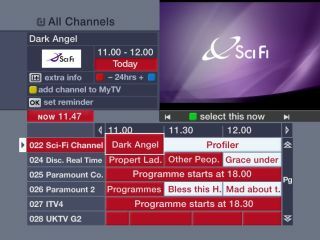 "Many service providers have invested millions of euros in network upgrades, but it remains unproven whether IPTV networks can scale into the millions without performance degrading and response times slowing, or even collapsing altogether," Fitzpatrick added. However, many regions in the world are still without reliable IPTV services. The top five providers cover 60 per cent of the global market, according to Canalys. It said the three top providers were PCCW (18.2 per cent), France Telecom (16.8 per cent), and Free Telecom (14 per cent). Asia is expected to be the next IPTV hot-spot, particularly since Hong Kong already has a well established IPTV market. North America is also expected to see major growth in the near future.